To order online, choose the country we should send the order to (Ireland, UK or Rest of the World) first for each item, then click the 'Add to Cart' button. Alternatively, download the order form by clicking the button below, and post it together with a cheque or postal order in Euros, British pounds or US dollars. If you have any queries or problems placing your order, please contact the Centre by email or phone. 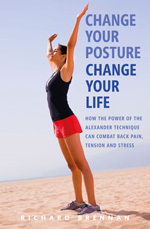 The Alexander Technique CD (or tape) half price if bought online with either of the two books, Back In Balance and Change Your Posture, Change Your Life . NOTE: Signed copies of books available - please request when ordering. JUST PUBLISHED SEPTEMBER 2017. Book launch 18th October in Galway. This book will show you how to relearn your natural rhythm of breathing to beneficially alter the way you think, feel and act. 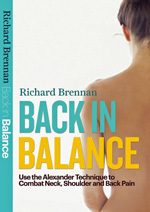 It is packed with practical breathing techniqueS to use at home and features a groundbreaking method developed by the founder of the Alexander Technique. 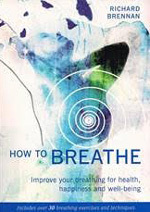 Chapters include 'how breathing works', 'understanding the principles of natural breathing', 'habits and misconceptions', 'the voice and breathing'. There is also a section on how posture affects breathing. Back pain has now reached epidemic proportions with millions of people suffering across the globe. This practical life-changing book offers insights into the underlying causes of back and neck pain, simple awareness exercises to alleviate it, and suggests effective lifestyle changes. ALEXANDER TECHNIQUE CD AVAILABLE HALF PRICE WITH THIS BOOK. To order book with CD, click the arrow below and choose from the pull-down list of options, then click 'Add to Cart'. (Offer applies to online orders only). This book analyses what causes poor posture and sets out to help the reader regain a natural posture that is free rather than forced. He also shows how the Alexander Technique can help to bring about this freedom of body, mind and emotions. Chapters include 'The Secret Key to Good Posture', 'The Hidden Obstacle to Improving Posture', 'Your Inner Acrobat' and 'First Steps in Releasing Muscle Tension'. The author examines many aspects of the technique and how it can benefit everyone, young and old. Published by Collins & Brown (Revised and updated edition 2011). 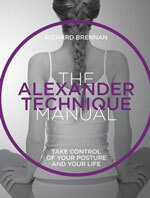 This is one of best selling books about the Alexander Technique on the market today with over 100,000 copies sold to date. This brand new edition has been completely revised and updated and now contains extra chapters and dozens of colour photographs and clear illustrations to help you gain a good understanding of the principles of the Technique. It is a practical, readable guide and is suitable for those new to the Technique as well as those who have had Alexander Technique lessons. This is the most comprehensive and lavishly illustrated book on the market. It is the first "coffee table" type of book ever to be produced. It has at the same time been written in the same easy-to-read style as Richard's other books on the Technique. There are tips on improving posture at work and home, sections on sports and pregnancy. The book is suitable for anyone, with or without experience of the Alexander Technique. 144 pages. Illustrated with full-colour photographs throughout. New edition published by Alexander Technique Centre Ireland (2015). As the title suggests this book tells you how to reduce physical, mental and emotional stress. Topics covered include worry, depression, insomnia and panic attacks. Like the other books it is also suitable for those new to the Technique as well as those who have had Alexander Technique lessons. No other book on the market explains how the stress of the mind directly causes excessive muscle tension. 185 pages Illustrated with line drawings. eBook published in 2011 by the Alexander Technique Centre. Price: €6. Format: ePub or Kindle. eBook edition revised and updated in 2011. To view this book you will need an eReader such as the Sony Reader, Barnes and Noble Nook, Amazon Kindle, or an app for your iPad such as iBooks. See recent review of eReaders. You can also view this eBook on your computer using free eReader software such as Adobe Digital Editions, Sony Reader Library (both for ePub format), or Amazon's Free Kindle Reading Apps. This is an ideal introduction to the Alexander Technique as it is straightforward and easy to read. Perfect for those who know little or nothing about the Technique. Each chapter explains the principles and concepts behind the technique clearly without jargon or anatomical terms. There is also a section about how Alexander evolved his technique. Illustrated with clear line drawings. eBook published in January 2013 by the Alexander Technique Centre. Price: €4.50. Format: ePub or Kindle. eBook edition revised and updated in January 2013. This is a straightforward, easy-to-read introduction to the Alexander Technique for those who know a little or nothing about the Technique. This book, however can also be helpful for those who are already having Alexander Technique lessons. While still very readable it contains numerous exercises and procedures that you can follow to enhance your knowledge of the technique. 150 pages. Illustrated with clear line drawings. This is a general book on how to alleviate stress in your life. It explains exactly what stress is and how to recognise it. The book advises of various alternative therapies and complementary medicines that can help to keep stress at bay during the rush and bustle of modern day living. There are also sections on meditation, visualisation and breathing that helps to calm the mind and free the body. 160 pages Illustrated with line drawings.